Industry vertical AR solutions are focused on using scalable AR solutions to solve issues for industries such as retail, logistics, specific CPG categories and publishing. Pricing models vary substantially based on factors such as usage, comprised of licensing, support and volume of usage fees. In this scenario, open source technology always helps us to increase flexibility and reduce the cost. 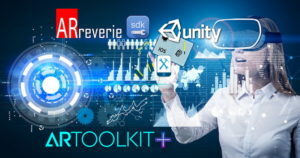 ARToolKit+ is a free and open source augmented reality SDK, along with whole new features, like Database (ImageTarget) manager, NFT real world image tracking, Planer Tracking also supports Unity3D in form of easy to use plugin. 5. Do not need to purchase register account or special license. 6. The complete source code is available on GitHub. ARToolKit+ added in a new engine resolver visual images, which can work without a connection to the network and tracker tracking methods combining such as P3P and optical flow for the more reliable reading key. The system may recognize and track supports multiple images based on detection initialization FREAK and rapid generation of data on the fly at speeds of tens of milliseconds. Calibration, identification, and tracking of fully autonomous kept up to hundreds of detected images; working dynamic loading and saving individual images or sets. With the help of this new technology, ARToolKit helps us to solve some of the fundamental problems in augmented reality, including geometric and photometric registration. Geometric registration: Aligning the position of the virtual environment with the actual environment. Photometric registration: Matching the appearance of objects in the virtual environment to the actual environment. 1999 First public demonstration @ SIGGRAPH. 2001 v1, with square tracking, released open source. 2001 ARToolworks Incorporated, begins selling Pro version. 2004 NFT tracking integrated into ARToolKit. 2004 v2 released open source. 2011-14 Android support added, further extending platform support. ARtoolkit now provides most important features like Image-based and Planner tracking i.e. it combines features of both, Vuforia & ARKit. Though ARToolkit facing some performance issues as an open source AR SDK these are acceptable. 1 year back after spending 1 month with ARToolkit and Vuforia I actually succeed to find out the difference between ARtoolkit-5 Vs Vuforia. 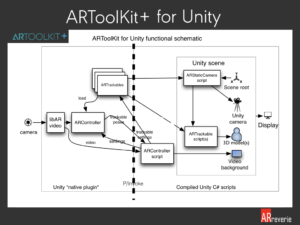 ARToolKit+ is a completely enhanced version of ARToolkit and it includes all features of ARToolkit delivered in the proper and convenient way. 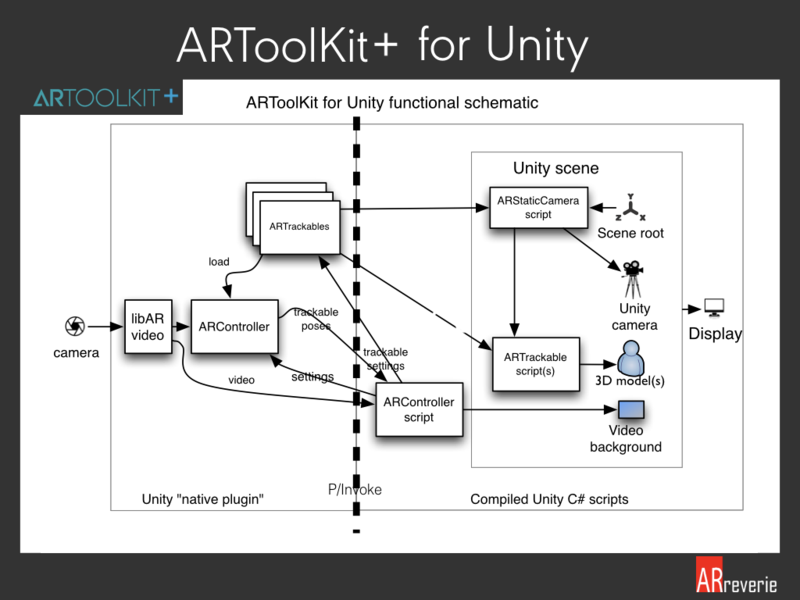 The latest version of ARTooKit Unity Plugin and Source code is available on Github. You can contribute to improving the existing features and build the more optimized solution. ARToolkit+ also provide ‘Camera Calibration + Image Database Tool’ provided in base utility made it easy to create targets(NFT datasets) compare to previous genTexData script takes a little bit of time and effort. 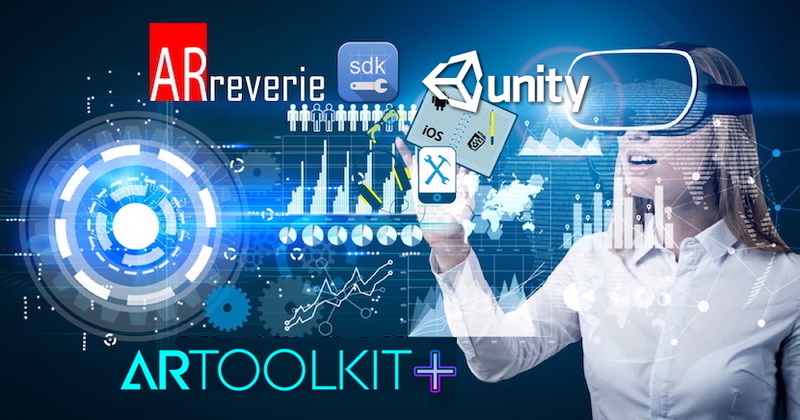 As we know ARToolkit6 is an open source SDK and obviously, major knowledge and efforts are required to develop the complex app using ARToolkit but that’s the beauty and passion of Software Engineer.